Collwest Grain Ltd. is a privately owned grain elevator located in Collingwood Ont. The goal of Collwest Grain Ltd., as an independent grain company is to develop relationships with many different end users and markets to provide our customers with the best possible prices and grain marketing opportunities available. Since John and Eva Taylor purchased the elevator in 2003 Collwest has continued to make improvements to better serve our customers. Additional storage capacity has been added to the elevator, a new dryer was installed and in 2017 a new receiving leg was installed to increase receiving capacity. In 2009 we build some storage for IP soybeans and added to that in 2018. Today we have 1.1 million bushels of storage and receiving capacity of 25000 bu/hr. In 2012 Collwest Grain joined with Scott and Jeremy Davison of Fairfield Farms in Meaford to create a satellite elevator. This relationship has allowed us to better serve our customers in the Grey County area and add additional storage capacity. In 2016 Collwest Grain Ltd. along with Ondrjicka Elevators, Snobelen Farms Ltd., Varna Grain Ltd., Les Young Farms Ltd. and Ken Whitelaw went together to form Synergy Grain Trading Ltd. Synergy Grain Trading is an independent company focused on sourcing grain from other independent grain elevators and using those resources to create new marketing opportunities for the shareholders allowing us to better compete in a world of increased rationalization in the grain industry. In 2019 Collwest Grain Ltd. formed a satellite agreement with Highland Custom Farming in Proton Station. Highland Custom Farming built a new state of the art elevator in 2018 and this partnership will increase our market presence in Grey and Dufferin Counties and will help to provide more marketing opportunities for our customers. 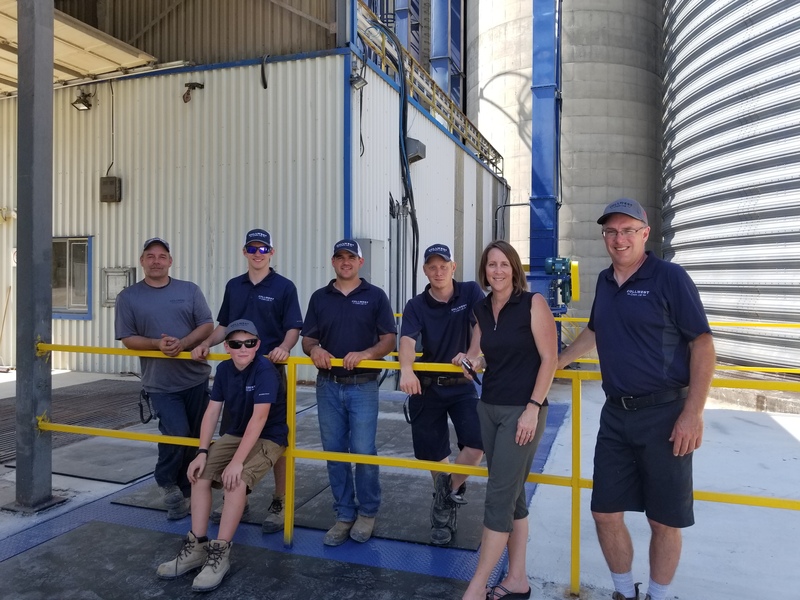 Collwest Grain Ltd. continues to look for ways to improve our elevator and the services that we provide to our customers and look forward to growing our business with them in the future.